Help Decide the 2018 Athlete of the Year Fan Favorite! The Athlete of the Year scholarship is the culminating award of the 2017-18 Athlete of the Week program, sponsored by Coordinated Health. On May 22, at the 5th Annual Coordinated Health Athlete of the Year Awards, one male and one female winner will receive a $10,000 scholarship based on input from The Morning Call sports department and the Coordinated Health leadership team. Academics: The athlete serves as a strong role model in the classroom and plans to attend college. Leadership: The athlete shows a commitment to the people and organizations in his/her community. Athletics: The athlete displays a high level of performance in his/her chosen sport(s). This year we are also presenting a male and female Fan Favorite award. The results of the online voting tool below will determine the Fan Favorites. VOTING RULES: To cast your vote, simply find your favorite athlete below, enter your email and press the “Vote” button. Don’t forget to share your favorite athlete’s entry to increase their chances of winning. By casting a vote you agree to receive the Coordinated Health mailing list for updates about the contest and other content. Best known as the ice hockey forward who scored the game-winning shootout goal to win the gold medal for Team USA in the 2018 Olympics, Jocelyne Lamoureux’s career is full of extraordinary accomplishments. 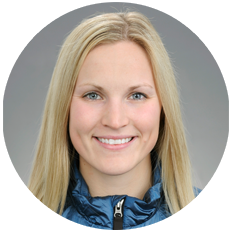 She scored the fastest two goals in Olympic Men’s or Women’s history at the 2018 Winter Olympics. She won silver medals for the U.S. women’s national ice hockey team at the 2010 and 2014 Winter Olympics. And while playing NCAA ice hockey for the University of Minnesota and then the University of North Dakota, she received numerous athletic awards and also earned her Master’s degree while holding a 4.0 grade point average. Coordinated Health is pleased to welcome Jocelyne to the Lehigh Valley and as our guest speaker for the 5th Annual Athlete of the Year Awards..
© 2019 Coordinated Health. All rights reserved.